At RateLab.ca we make the process of getting life insurance Canada seamless and stress-free. Not only will you get the best rates on life insurance from top Canadian insurance companies, we will also connect you with a licensed life insurance expert that will ensure you get the best policy that suits your needs at the right price, saving you money and time. What is more, our service is absolutely free. It’s difficult to predict what can happen in the future holds, so make sure you have a life insurance policy that will cover all medical and burial expenses as well as other costs arising from death. Planning for the future also involves making sure your policy covers all your family’s expenses, including your children’s education and other future financial plans. Get the best life insurance quotes Canada here and save yourself both time and money today! To secure life insurance, the first step is to fill out our simple online form, providing personal details about your age, health as well as the type of coverage you need. It will only take you few minutes to complete the form after which we will provide you with the cheapest life insurance quotes Canada that meets your specific requirements. We offer you the best life insurance quotes from the best insurance companies in Canada. Here at Ratelab.ca we literally search the whole market to find the lowest rate that is unrivalled. The list of quotes from the different insurance companies is constantly assessed and updated to reflect the current life insurance rates. Once you fill out your personal details on the online form, you can request Canadian life insurance quotes from different insurance companies free and with no-obligation. There is nothing stopping you from getting personalized quote at the cheapest rate possible to ensure that your family’s financial future is secure. Save yourself from the anxiety and stress that can result from finding out that you are underinsured. At Ratelab.ca we find life insurance quotes Canada that will measure up exactly to your health circumstances. Life insurance is one of those things you know you should buy, but hope you never need to use. The point of life insurance is provide monetary compensation in the event of your untimely death. The money paid out by a life insurance policy can be used for medical bills, burial costs and even to pay the balance of your mortgage. Life insurance comes in many forms. The type of life insurance you purchase will depend on why you’re buying it. Term life insurance is basically a type of insurance that provides a fixed rate of payments over a set period of time, or term. After the term expires, premiums are no longer guaranteed and clients must either convert their policy to another type of life insurance plan or forego coverage. Typically, after the term is expired, customers are significantly older and life insurance is much more expensive. Term life insurance can be purchased for extended periods of time, such as 20 or 30 years. Whole life insurance provides coverage for the insured person’s entire life, provided all premiums are paid on time. The premium is fixed and is dependent on the age of the insured at the time the policy was issued. Most whole life insurance plans do not increase in cost as the insured ages. Universal life insurance is a flexible type of coverage that offers the low-cost protection of term life insurance with a savings element that creates a cash value buildup over time. The benefits can be reviewed and altered as needed and the policyholder can use the interest from the accumulated savings of the policy to help pay the premiums. Non-medical life insurance is sometimes referred to as no-exam life insurance. Typically, when applying for life insurance, the insurance company wants some type of reassurance that you in good health. Non-medical life insurance eliminates the hassle of a medical exam for the insured and reduces costs for the insurance company by negating the need for the paperwork and investigation required for regular life insurance. Standard life insurance is a phrase used to describe a general life insurance policy that has typical coverages and requires a medical exam. A standard life insurance policy may be a term policy or a whole life policy and it may or may not include coverage exclusions. As the name implies, simplified life insurance, this type of life insurance is easy to apply for. You simply answer a few questions about your medical history in order to qualify rather than undergoing an extensive medical exam. If you’re reasonably healthy, you’ll get a decent rate. Simplified Issue Life Insurance is typically more expensive than varieties that require a medical exam and are preferred by people that wish to avoid a visit to the doctor in order to qualify. Guaranteed issue life insurance does not require a medical exam nor questions related to your health. The policy is guaranteed, regardless of age, whether the insured is a smoker or the state of their health. Guaranteed issue life insurance policies are the most expensive type because the insurance company is assuming a large degree of risk. Now that you know the difference between the most common types of life insurance, you can make an informed decision on which type is right for you. What is Life Insurance How Does it Work? If you’re young, unmarried and generally not financially responsible for anyone, you may not know what life insurance is. Life insurance is basically what it sounds like – an insurance policy on your life. If you are to die suddenly or become terminally ill, the policy will pay out a set amount of money to whomever you name as a beneficiary. It’s generally considered important if you are financially responsible for other people, like a spouse or children. Life insurance is surprisingly simple. You go online or call an insurance provider and sign up for your life insurance. If you’re younger and at less risk of death in the near future, the policy will cost less. If you’re older and at a statistically higher risk of death, you’ll pay more. Most insurance companies ask simple health questions, like whether or not you’re a smoker. Some require a physical to prove health before extending coverages. Once you’ve signed up and have started paying premiums, there will usually be a grace period before insurance benefits take effect. This can be a year or two. After the grace period is over, if you die, the person you list as the beneficiary will get whatever the value of your policy is. The amount of money you take out in life insurance will depend on what types of financial obligations you have. Anyone that is financially responsible for someone else should have life insurance. So, if you’re young, unmarried and living with your parents or in an apartment that you rent, you won’t necessarily need life insurance. If you die, nobody will be worse off financially. However, if you’re a little bit older, have a wife that stays home and a child or two, a life insurance policy should be a priority. In the event of your death, your wife and children will be significantly worse off financially. A life insurance policy can ensure they are not left in a dire situation if you suddenly pass on. Even if you’re married with no children, but own a home, you should get life insurance. At the very least, a mortgage life insurance policy would be recommended. That way, if you suddenly die, your mortgage will be paid off by your policy, leaving your surviving spouse free to remain in the home or sell it and invest all of the profit in a new place to live. While many people don’t have a good sense of their own mortality and view life insurance as a waste of money, the coverages have helped millions of people remain in their homes and maintain their lifestyles after the death of a loved one. If you’re interested in seeing how affordable life insurance can be, click on the link below. 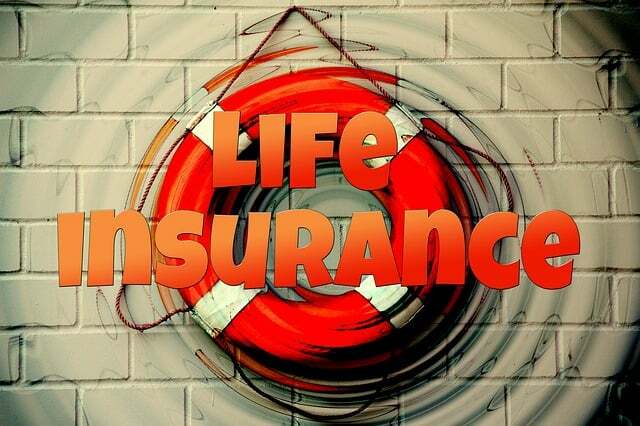 It is essential that you should know what the term life insurance implies. It happens to be basically the insurance that pays death advantage to the beneficiaries only when the insurer has passed away within the decided period of the insurance. Whenever the insurer dies after the time period, the insurance provider will not pay anything to the beneficiaries. The time period limit will differ from 5 to 20 years, based on the plan purchased. Life insurance coverage is an incredibly important, it includes the most essential things in human life. If perhaps we refer to it as a necessity, it might not be wrong. The simple objective would be to acquire the financial interest of the recipient. The receiver additionally gets the plan profits along with relevant profits. It is actually a great way to acquire the future of your loved ones, in the event things go wrong. Earlier, agents used to pay a visit to people to persuade them for life insurance coverage. These days, people understand its importance, as a result of which they go for it themselves. There are numerous kinds of life insurance coverage, and forms of insurance that happen to be much like what exactly is typically known as simply-life insurance. For example, there are life insurance plans similar to mortgage-insurance. It is necessary that you talk to your broker while finding which policy is most effective for your needs, and make sure you know precisely what protection you will be getting. Carrying out your own personal research on the internet is actually an excellent start, it is specifically recommended to do so before your very first discussion with your broker. Buyers Canadians are recognizing the necessity of life insurance, there is certainly great news because the insurance providers have significantly reduced their charges during the last several years. Besides, Canada has an extremely financial solutions industry with the life insurance industry, getting a great history for being capable of maintaining its guarantees to clients. The Canadian Life and Health Insurance Association operates to guarantee the health of the Canadian Life insurance coverage industry by means of advocacy as well as lobbying activities even more. The organization represents many of Canada’s life and also health insurance organizations, places out business publications, which also runs a Consumer Assistance Center, that provides info to people who showed up at them with queries. The Canadian Life and Health Insurance Association additionally function an Ombud Service issues series and also has been in existence as far as 1894. Many people believed that some life insurance company can fail or are likely not to delivered that they promised.Life insurance buyers all over the world are protected. For instance in Canada, Life insurance companies must register with Assuris, they monitor and make sure that the organization must deliver what they promised to their clients, with this kind of policy, all life insurance buyers are protected in Canada.